The Polit Bureau of the CPI(M) hails the sweeping victory of the CPI(M) and the Left Front in the Tripura urban bodies elections. The Left Front has won the Agartala Municipal Corporation getting 45 out of the 49 seats. It has won all the 13 municipalities and the 6 nagar panchayats. In many of them, the Left Front has won all the seats. 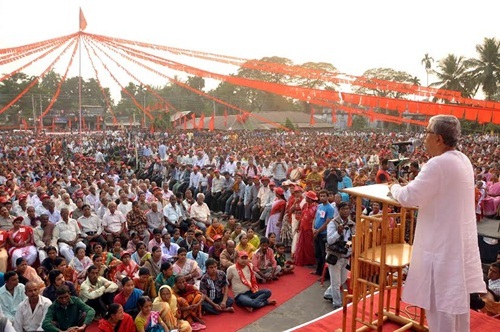 Just as the rural population had extended full support in the panchayat elections to the Left Front, now the urban people have reaffirmed their support to the policies of the Left Front Government. The Polit Bureau greets the people of Tripura for this fulsome support. It conveys its congratulations to all the cadres and activists of the CPI(M) and the Left Front.